If you’ve been toying with the idea of starting an ecommerce business, now is the ideal time. U.S. ecommerce (B2C) sales have nearly doubled since 2010 to an estimated $347 billion in 2015. Global ecommerce sales are expected to double from $1.672 trillion in 2015 to $3.5 trillion in 2019. Despite the advances in technology that make it easy to start an ecommerce business, 90% of new businesses bite the dust shortly after launching. Turns out there's more to ecommerce than loading products into your ecommerce platform of choice. If you truly have a unique product idea and the Kickstarter money to get it rolling, by all means launch it! But if you’re not exactly sure what to sell, a content-first approach is a sure fire way to succeed in a rapidly growing market. Here’s your six step action plan for launching a content-first ecommerce business. 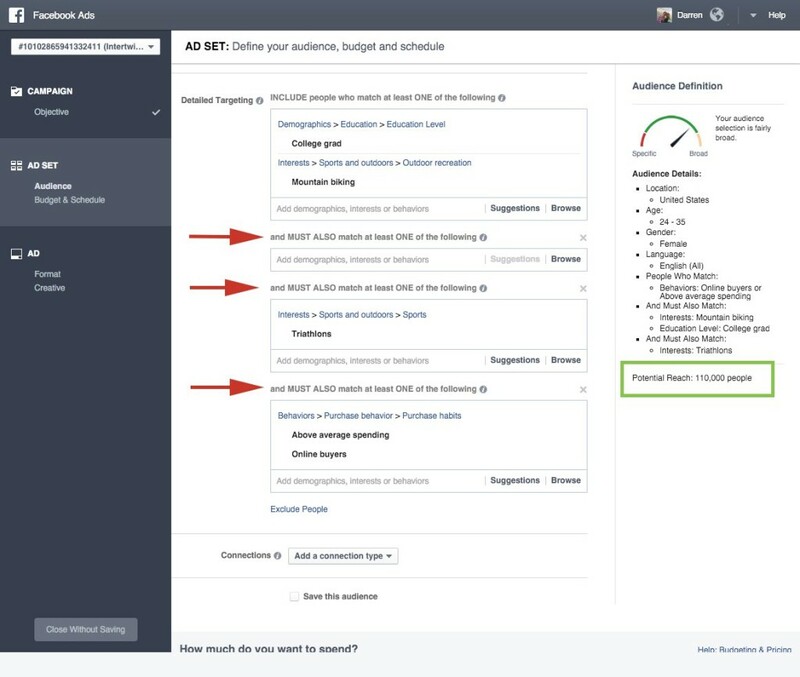 Once the ad targeting feature loads, input your persona's demographics and interests. After each interest or behavior click "Narrow" and set the additional criteria to "Must Also Match." Don't worry about location for now, we just want to make sure that there are at least 100,000 people that fit your ideal persona/market. In the example above, there are 110,000 college educated women that enjoy mountain biking and triathlons and have above average spending online. For this step, all you have to do is type in one product idea you have for your persona. Once you add it to your cart, Amazon will show products that you could potentially cross and upsell. 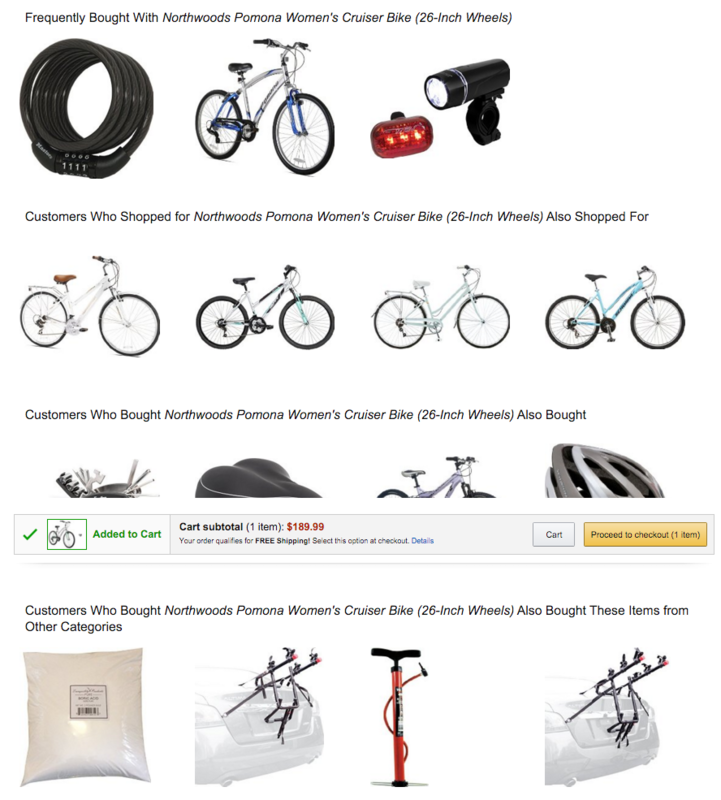 In the example above, the original product added was a women's mountain bike. Make note of the products that interest you and repeat step 2 to make a list of possible products. If you’re looking for a high margin business, your best bet is to make your own brand (make/manufacture). But you can launch quicker and scale faster with wholesale and dropshipping. You can also enter products, but products popularity can change so its better to use market defining keywords. Consider eliminating terms that are trending downward. 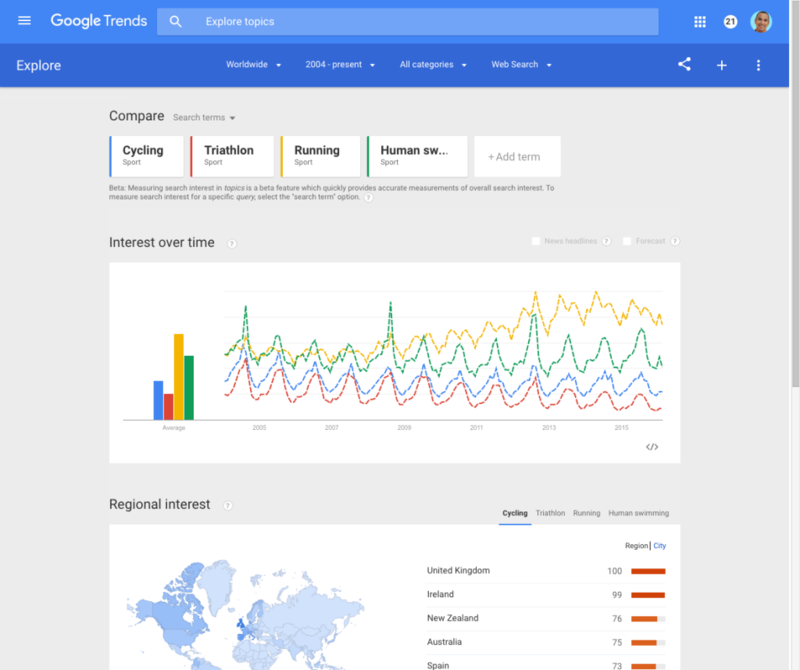 After looking at these trends, I think I’m going to focus on the running aspect of my triathlete female persona. Add keywords that interest you into a plan. Look for all types of keywords: products, how-tos and tips. Don’t worry about filtering it out. We’re still in brainstorming mode. Shoot for 50-100 keywords or so. Once you're done, copy your keywords. This is a step that many people skip over. Don't. 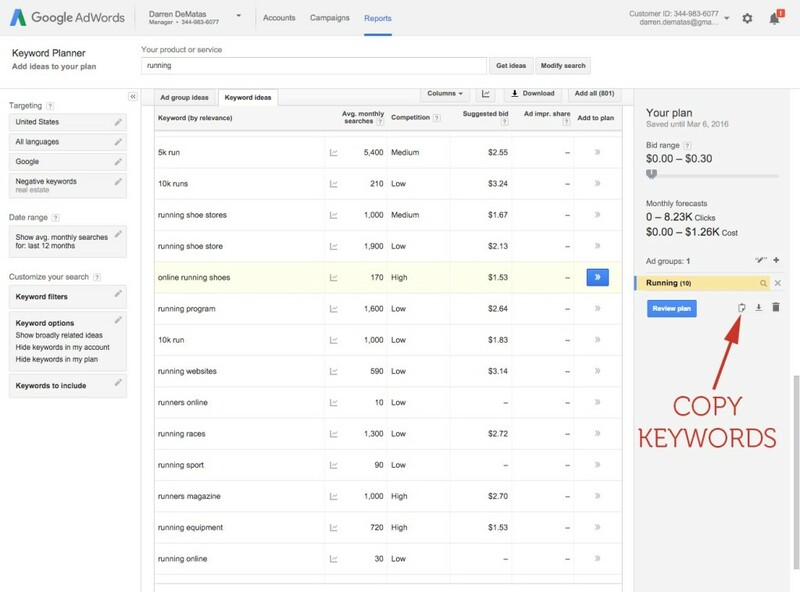 Paste your keywords into a keyword research difficulty tool like SEMRush. This will give you an idea of how hard it will be to rank organically for the keywords. There other tools that have free plans (Keyword Finder or Term Explorer) but I personally use SEMRush’s paid plan. If you don’t have a paid plan, you can only check 10 keywords per day. Anything above 75 is hard in my opinion. Pro tip: Don't only think about product and category pages. Some of the keywords can make excellent blog posts, guides and linkable assets. I'm tempted to create "50 Must-Run Half Marathons In America's Most Beautiful Cities." The last step is to check commercial value. The quickest way is to just export the keyword list from SEMRush. That will have your SEO difficulty, volume and CPC. Multiplying CPC and volume gives you an estimate of commercial value. 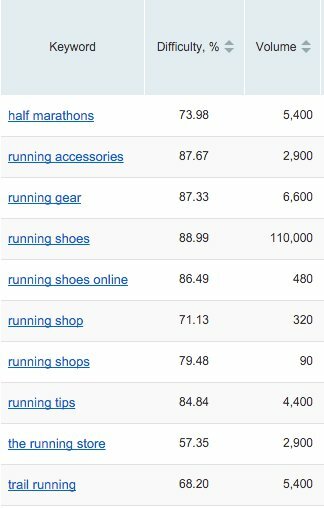 Sort by commercial volume highest to lowest and look for keywords with lower SEO difficulty. Looking at this data, I would also prioritize trail running. Go through this process with all of your markets and products. Prioritize those with high commercial value and low difficulty. The point of keyword research is to help guide you into a market where you can win with content and organic SEO. It's kinda pointless to enter into a market with no commercial value. Content marketing is a long-term play. These days, a blog alone is just not enough. To really capture the minds of your audience you need to engage them through an alternate medium. Adding audio or video into your marketing mix is a powerful way to connect with your audience. But it does take a little more work and consistent publishing schedule. 1. Slikhaarshop is a hair care product wholesale/dropshipper with over 350K followers on Instagram and 1 million subscribers on YouTube. They crank out a new episode once a week. They have a very specific persona. 2. Think Geek has 176K subscribers on YouTube and their products regularly get shared 10,000+ times. This product has over 100,000 shares! 3. REI has one of the best ecommerce blogs I’ve seen. They crush SEO with killer lifestyle guides like this off-grid backpacking one. The main point of your content marketing is to serve your audience, and generate traffic and backlinks. If you can’t get that right, you can forget the rest. Check out my article on Lemonstand to get some tips on using content to generate links. The simplest thing you can do is ask your visitors to help you define and create a product. This works especially with digital products like e-courses. 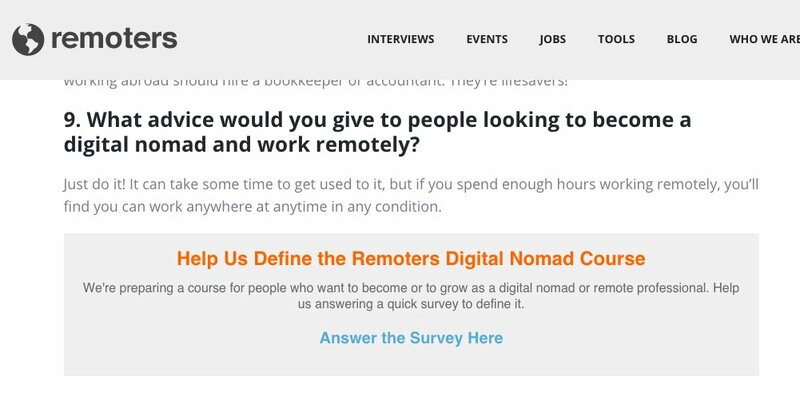 Remoters.net directly asks visitors to help them create a product. If you are focused on traffic and don’t want to invest any resources into creating products you can use affiliate marketing to test whether your audience will spend money on a potential product. If you feel like you have a good feel for what physical products will work, you can experiment with drop shipping. Just be ready to deal with all the manual effort involved in communicating orders to vendors and customers. If you feel like you have a really good product idea, you can launch your store and send paid traffic to a product page. You can burn through dollar bills fast, though. It takes 4.5 brand interactions before a purchase is made. This is why branding through content marketing is so important. In the early phases, you don’t want "buy" buttons everywhere. A commercialized site makes it really hard to promote your site to influencers and bloggers and obtain backlinks. I like sneaking up on my competition! SaaS platforms like Shopify or BigCommerce (prices start at $29/month) have hosting built-in. But if you want to start with WordPress on your main domain you can install a free platform like WooCommerce or Prestashop in a subfolder when you’re ready to sell. While WordPress ecommerce platforms are free, hosting isn't. This WordPress hosting pricing guide puts everything in once place nicely. With content, you can target your persona at the top of the sales funnel (before they are in buying mode) and guide them through purchase. Much better than buying traffic at the bottom of the sales funnel and competing against Amazon on price. Be the 10% that succeeds! Darren has an MBA in Internet Marketing, but hangs his hat on a decade of experience in the trenches. Check out ecommerceCEO to learn more about ecommerce.